Do you know where your sugar comes from? Maui Brand sugars are grown in the rich soil and the nourishing sun on the beautiful island of Maui, Hawaii! It's naturally gluten-free, vegan friendly, and non-GMO. Maui Brand Natural Cane Sugar combines a premium slow-batch preparation and kitchen-friendly packaging to create the finest quality Turbinado product available on the market. It's available as Maui Whites (Crystallized Natural Cane Sugar) as well as Maui Raws (Turbinado Natural Cane Sugar). Maui Brand sugars are absolutely delicious! They kettle cook their sugarcane in small batches to make superior quality natural sugars that enhances the flavor of beverages, cereals, baked goods, and recipes. I just made the most delicious brownies using Maui White Sugar. 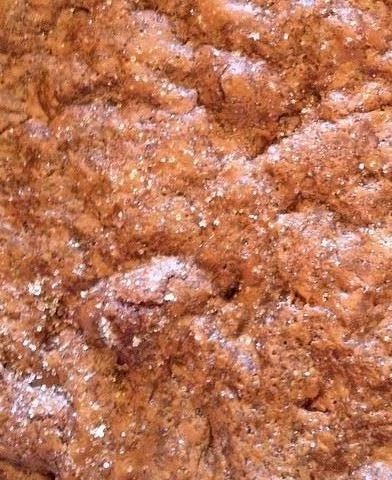 I also sprinkled a tablespoon of the sugar over the top of my brownies to add extra sweetness and some sparkle. Find out more about Maui Sugars at www.mauisugars.com and shop for it on Amazon. You can also find it in select restaurants, hotels, and grocery stores.